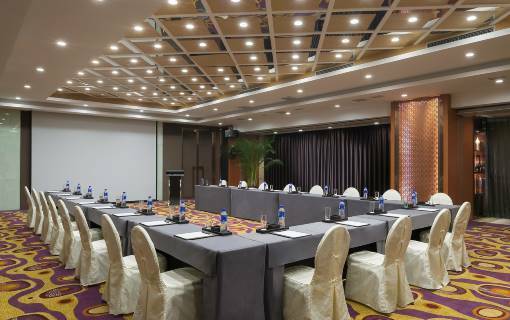 Whatever the occasion is, Marco Polo Parkside Beijing provides a wide array of premier meeting facilities to fit your meeting and event needs. 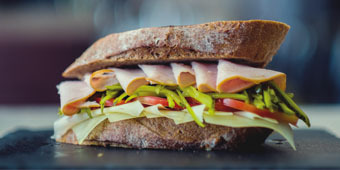 Our state-of-the-art facilities, flexible meeting spaces, and team of well-trained banquet team produce all the necessary ingredients for a successful event. Wi-Fi Internet service is available in all function rooms. For more information, please contact (86 10) 5963-6537. Located on the 2nd floor of the hotel and measuring 364 sq m, Rome Ballroom is bestowed with natural daylight, showcasing classic elegance on an intimate scale. The ballroom can accommodate up to 200 guests. Our lobby is accented by a spiral grand staircase, leading guests to the elegant Rome Ballroom, making it a popular choice amongst newlyweds and a perfect backdrop for a memorable wedding entrance. 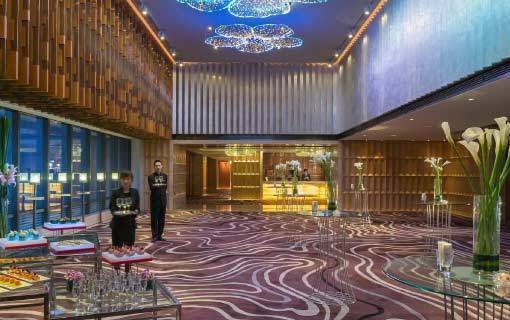 Be it a wedding reception or a banquet, the anticipated corporate annual dinner or a mega exhibition, give it a fitting venue at the Beijing Ballroom of Marco Polo Parkside. 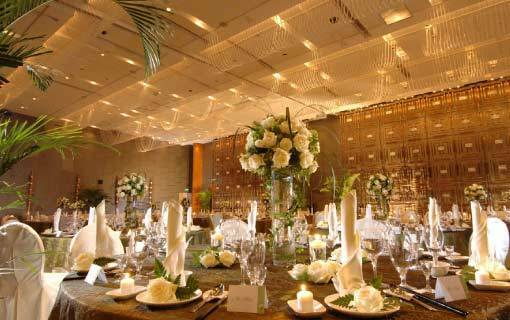 The central location, detailed service and state-of-the-art technology, all work in synergy to make every grand event a lasting success. 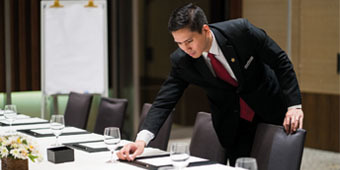 Hong Kong Ballroom is the perfect backdrop for executive board meetings, cocktail receptions and corporate training sessions. Located on the 2nd floor adjoining the lobby, the ballroom features floor-to-ceiling windows that overlook the hotel lobby, offering an intimate bird’s eye view from above. 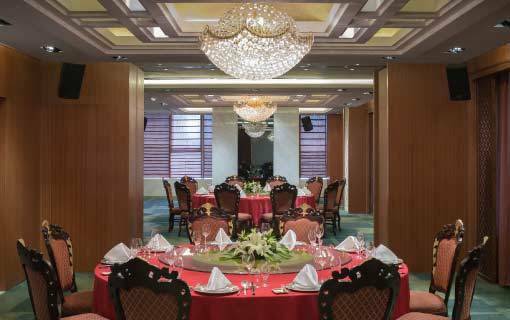 Befitting a VIP meal, the China Suite comes with a TV, a private washroom, a lounge and a bar, consummated in an ambience of elegance and sophistication. Situated on the 3rd floor of the hotel, Olympic Room 1 measures 40 sq m and are ideal for board meetings or trainings for 6 to 12 persons. 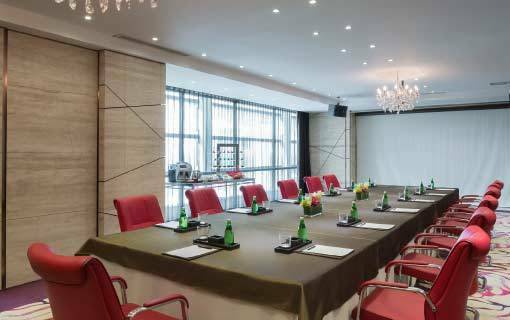 Situated on the 3rd floor of the hotel, Olympic Rooms 2 measures 40 sq m and are ideal for board meetings or trainings for 6 to 12 persons. Situated on the 3rd floor of the hotel and bestowed with natural light, Olympic Rooms 4 measures 70 sq m each and are ideal for workshops and seminars. Situated on the 3rd floor of the hotel and bestowed with natural light, Olympic Rooms 5 measure 70 sq m each and are ideal for workshops and seminars. 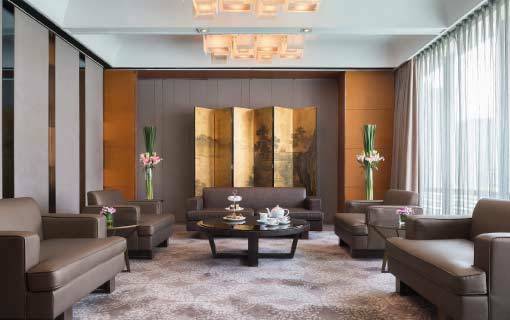 Measuring 104 sq m and located on the 3rd floor of the hotel, Olympic Room 6 is most suited for intimate cocktails and board meetings. Measuring 96 sq m and located on the 3rd floor of the hotel, Olympic Room 7 is most suited for intimate cocktails and small press conferences. Measuring 84 sq m and located on the 3rd floor of the hotel, Olympic Room 8 is most suited for training breakout rooms. The Olympic Room 10 is ideally suited for intimate social gatherings and prestigious board meetings. 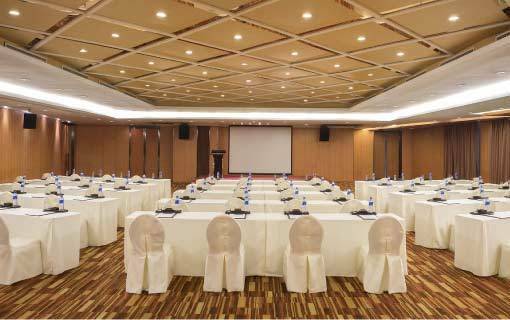 Illuminated by ample natural daylight, the function room features a large built-in screen and wireless projector.